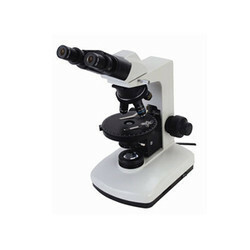 Leading Manufacturer of polarizing microscope s pol 50 led, s 50 pol polarizing microscope, polarising microscope spol 50, pol 300 polarizing microscope, pol 500 polarizing microscope and pol 200 polarizing microscope from Mumbai. 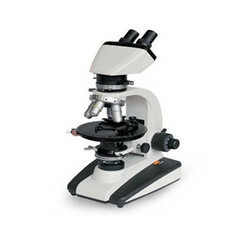 Transmitted and incident light polarized microscopes are the POL 300 Series. The POL 300 Series Non-stress Plan optics and reflected illumination system can also be attached Infinity Corrected Optical System makes the study of thin sections and other mounted samples fast and easy while delivering an excellent cost-to-performance ratio. Its perfect performance ensures the accuracy of every analysis. 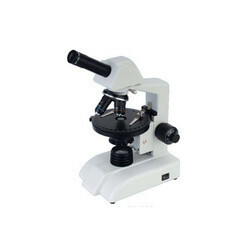 POL 300 Polarizing microscope is one of the most professional instruments and is extremely useful for specialized medical and industrial applications, such as identifying crystals suspended in liquid, identifying minerals in core samples and detecting defects in semiconductors or finding stress points in metal, glass and other materials. 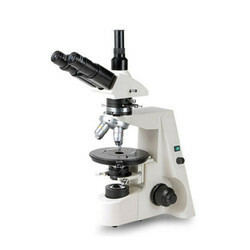 The microscope is equipped with attachments such as gypsum(1), mica(1/4 ) test piece, quartz wedge and attachable mechanical stage. 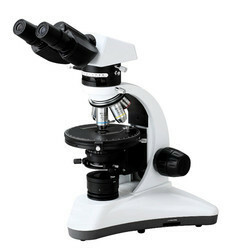 Looking for Research Polarising Microscope ?